Turning big data from a curse into a blessing for your organization requires a strategic approach – but just what are the database challenges and opportunities introduced by big data? 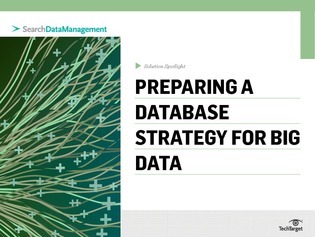 In this expert e-guide, find key insights and tactics to help you prepare a database strategy for big data, and learn about the potential value of massively parallel processing (MPP). Read on to learn more today.